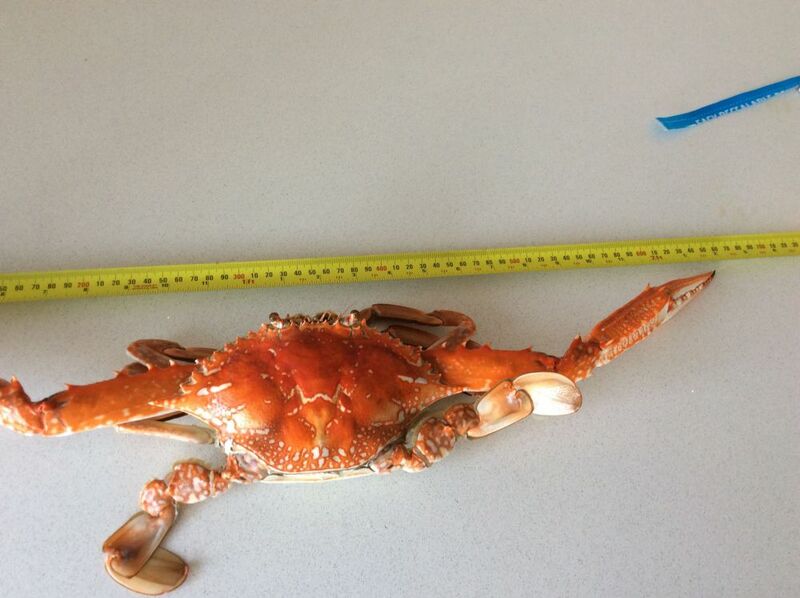 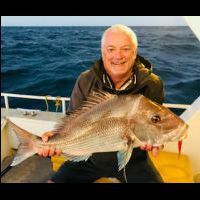 We have a standing family record contest for crabs, I got one 68cm nipper tip to nipper tip that was the record for a while, then my son got one 97cm tip to tip that held the record, but about a year ago he got one 102cm, yes, you read that correct, just over a metre, tip to tip, here is a photo of a good one I got recently, but, unfortunately, no record breaker. 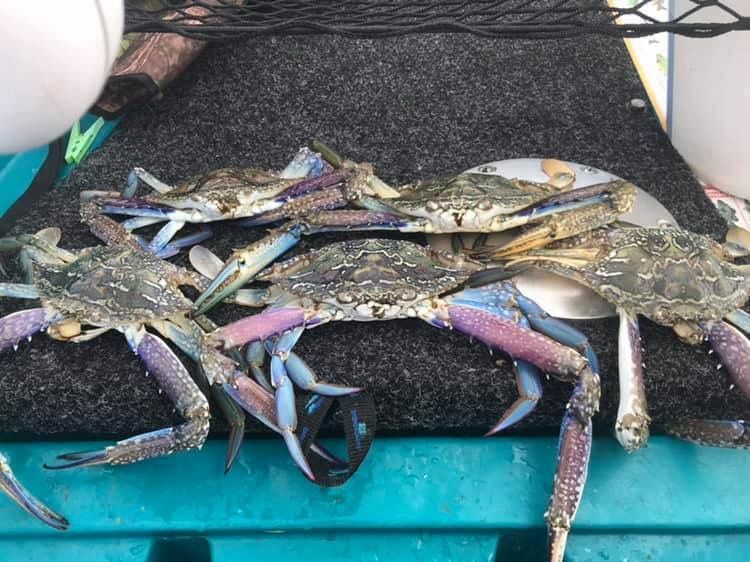 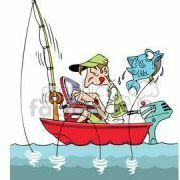 Just a note, the crabs have been pretty quiet this year, not too sure why, too hot, too cold, too much rain, not enough rain, or just one of those seasons? 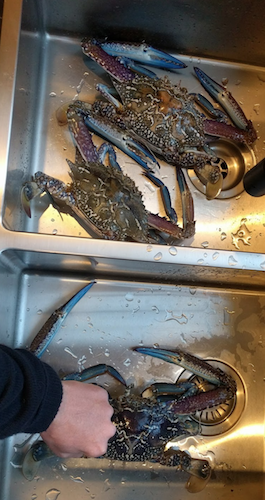 You should have dropped in to see me while you were down here, the crabs are very late this year, where we would easily get our bag around Christmas, it's now in March/April, going to go again on the weekend or Monday. 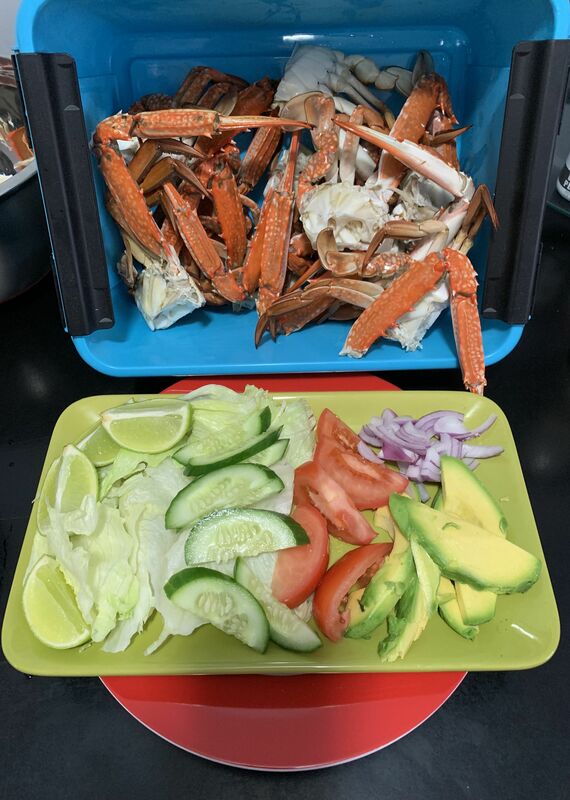 I've cooked & served plenty of crab in my time to customers but for some reason it just tastes better when you have caught it & cooked it for yourself & with things you like! 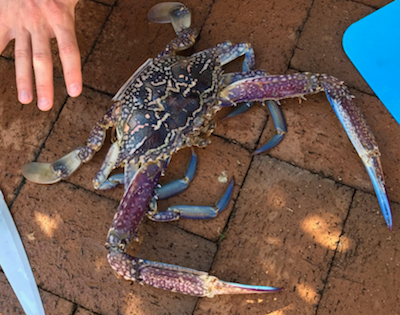 There is not much that beats a just cooked, still boiling hot Blue Swimmer crab, especially that big lump of meat attached to the swimmer leg, a nice spot in the shade, maybe a cold drink, it just doesn't get any better.